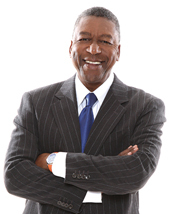 Robert L. Johnson, chairman of The RLJ Companies and founder of Black Entertainment Television (BET), announced recently that RLJ Acquisition, Inc. has successfully completed the business combination acquiring Image Entertainment, Inc. and Acorn Media Group, Inc., two highly complementary media content distribution companies to create RLJ Entertainment, Inc. Approved by the company’s, Image’s and Acorn’s respective shareholders, RLJ Enter­tainment, Inc. becomes one of the largest independent global distributors of digital and video content. “RLJ Entertainment CEO Ted Green, COO Miguel Penella, and I are very excited about this new business combination,” said Johnson. “RLJ Entertainment’s goal is to become a preeminent distributor of content to all media platforms including DVD and Blu-Ray, digital downloads, digital streaming, and broadcast and cable. We are also committed as part of our business strategy, to leveraging our experience in acquiring, distributing, and monetizing content to create branded digital subscription channels over the Internet targeted to distinct audiences that are underserved by current media platforms and interested in programming that appeals directly to their unique viewing interests. RLJ Entertainment marks the third company Johnson has taken public, including Black Entertainment Television, which became the first African American company publicly traded on the New York Stock Exchange in 1991 and RLJ Lodging Trust, a $2 billion market cap hotel REIT with 144 hotels, which Johnson co-founded with CEO Tom Baltimore, went public in May of 2011. Shares of RLJ Entertainment common stock will be traded on the NASDAQ Capital Market under the stock ticker symbol RLJE. RLJ Enter­tainment warrants will be traded on the Over-The-Counter Bulletin Board. The company anticipates that payments to holders of its shares of common stock that redeemed their shares will be made promptly following the closing of the business combination. In conjunction with and to provide funding for these acquisitions and RLJ Entertainment’s ongoing working capital needs, RLJ Entertainment entered into a $70 million credit agreement with a group led by SunTrust, which includes a five-year $15 million revolving credit facility and three tranches of term loans totaling $55 million with final maturities ranging from five to five and one-half years, at interest rates ranging from prime rate plus 5 percent to 6.25percent or LIBOR plus 6 percent to 7.25 percent plus an additional 3 percent per annum paid in kind on the last $15 million of the facilities.